Michelle Maurer is a woman of firsts. She was the first and youngest female to become General Counsel of a major Delaware corporation, Bank of Delaware and its bank holding company, Bank of Delaware Corp. She was one of the first women to clerk for the Delaware Court of Chancery, and was honored as one of the first 75 women admitted to the Delaware Bar. She caused gender equality in membership at private clubs where public business is conducted; becoming the first woman admitted to the University and Whist Club and part of the first group of 10 women invited to join the Wilmington Club. Her groundbreaking journey opened doors for generations to come, and culminated in a reputation for being an optimist with a resilient attitude, a creative approach to solving issues and a strong work ethic. ​She formed and chaired the bank’s first political action committee, B-Delpac and was appointed by the Delaware Bank Commissioner to serve as Delaware Representative to the Conference of State Bank Supervisors. As a registered lobbyist, she was actively involved as a member of the Government Affairs Committee of the Delaware Bankers Association. She successfully lobbied for legislation enabling the acquisition of banks across state lines to facilitate the merger of Bank of Delaware with PNC Bank where she continued her legal career as Vice President, General Counsel and Corporate Secretary with PNC Bank, Delaware with expanded legal responsibilities on a national basis. An expert on the Community Reinvestment Act, the FDIC and FRB recognized her as the driving force behind the creation of the Delaware Community Investment Corp, a consortium of Delaware banks and credit card banks which created a pool of funds and underwriting criteria to facilitate state-wide lending for affordable housing on a shared risk basis. She was Chairman of the New Castle County Economic Development Council and served as First Vice-Chair and Chair of the Audit Committee of DownTown Visions, a public/private partnership created to enhance safety and promote growth and development of Wilmington, Del. She was appointed by the governor to chair the Delaware Public Safety Council. She was a nationally recognized expert on Article 7 of the UCC, developing the largest non-Comex precious metals storage business and lending program. She worked directly with the Federal Reserve to liquidate the Hunt Brothers silver fortune on a world-wide basis without disrupting markets. She served on the Executive Committee and Board of Directors of the Industry Council for Tangible Assets. 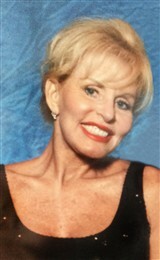 Ms. Maurer was extremely active in other professional and business organizations. She was one of the first women to serve on the Delaware State Chamber of Commerce’s board of directors and on its Government Affairs Committee and Senior Council. She was a member of the initial board of directors of the Delaware Valley Corporate Counsel Association, a chapter of the American Corporate Counsel Association and was given an award by the board for her service. She is a member of the Delaware Bar Association. Ms. Maurer has staunchly supported women in the workplace. She was a contributing member of the National Association of Bank Women as speaker and author of newsletter articles, as well as Financial Women International. Together with Betsy Rawls, an LPGA Hall of Famer, she founded a women’s annual golf tournament, Swingin’ With a Star, to facilitate networking among business women; encourage women to use golf as a business tool; and to raise money for girls’ programs throughout Delaware. Over $1 million has been raised and donated to the Delaware Community Foundation. A community-minded person, Ms. Maurer served on the Board of Directors of the Red Cross of the Del-Mar-Va Peninsula and chaired its Service Committee; she served as Trustee of Wesley College, Dover, Delaware; and is an active member of the United States Coast Guard Auxiliary, previously serving as Commander of Flotilla 8-5. To prepare for her career, Ms. Maurer earned a Bachelor of Arts in Biological Science from the University of Delaware in 1976, also completing secondary education teacher qualifications concomitantly. She earned a JD from Delaware Law School of Widener University in 1979. Throughout law school she clerked for Schmittinger & Rodriguez. She was Vice President of the Moot Court Honor Society and assisted with drafting the Delaware Rules of Evidence with Louis Schwartz, Esq. She was admitted to the Delaware Bar in 1979 and the Pennsylvania Bar in 1980. Ms. Maurer’s pioneering achievements have not gone unnoticed. For her efforts, she was featured in five editions of Who’s Who of American Women; two of Who’s Who in Finance and Industry; and one each of Who’s Who in America and Who’s Who in American Law. She has practiced under previous married surnames Michelle L. Welch and Michelle L. Petrilli.